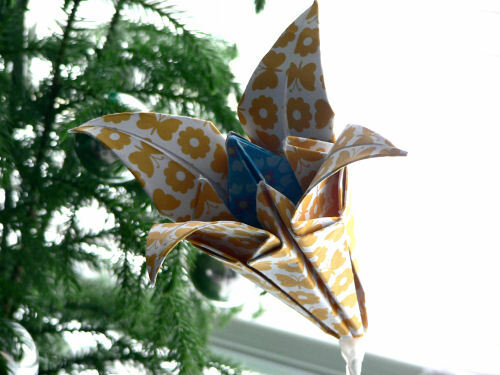 “Green” includes all things recycled, reused, or designed with the good of planet in mind. Today was Earth Day. 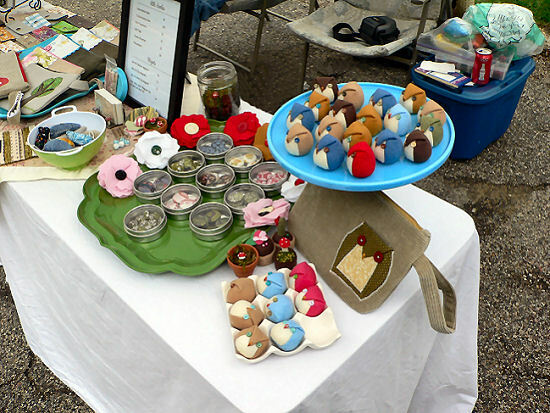 Over the weekend, Anodyne Design participated in the Earth Day Festival at Forest Park Nature Center. After the recent heavy rains and extensive flooding, and the unseasonably cool weather, I was worried that the event would be a bust. The day was cold, but bright and calm, and people came to the festival in spite of the temperature. More than once, someone came by my booth to tell me they still had and used something they purchased from me years ago. Someone showed me the wallet her daughter still uses, which I sold to her 4 years ago. Someone else told me that she has several of my bags, each of which serves a specific purpose, and then bought a new one to add to her collection. She mentioned that when she first bought from me, she thought my prices were a little high, but now that she’s seen how well my bags last, she understands. And it’s true– buying from a small, local business is going to cost you more up front. I can’t compete with an economy of scale, so my materials cost more. But my materials are also of better quality, or come with story behind them (like my wallets made from recycled pants). I make everything myself, which takes time, but it also means that you know who made your wallet, or bag, or owl, and I think that naturally leads to a higher quality of work, because I’m personally invested in each and every piece. And of course, there’s the thing that people mentioned over and over again this weekend– my items last. Buy a coin purse from me and use it every day, and it will still be in good shape in a few years. Buy one from a big store, and chances are, it will start to fall apart before you are ready to buy a new one. Thanks to everyone who came to the Earth Day Festival, whether you bought something from me or not. It was wonderful to see how many people care about our planet and want to do their best by it. Here’s a fun Earth Day fact about Anodyne Design: all my Little Hootie Owls are made with felt that’s made from post-consumer recycled plastic bottles. No sheep involved, and a few less plastic bottles to find their way into the giant ocean garbage vortex. Yay! I’ve had vertigo all weekend, but I’ve still managed to make it somewhat productive. Saturday, I went out the farmer’s market, and despite the heat it was a good morning. Of course, then I wasted most of Saturday afternoon taking a post-market nap. I used up a bunch of CSA veggies making Curried Chickpeas and Rice (tasty, but I think maybe it needs a can of diced tomatoes added next time) and Kale with Sundried Tomatoes and Chickpeas. We are big chickpea fans around here. I also finally got myself out to see the last Harry Potter movie, and was surprised to see I wasn’t the only one at the theater. I was a little wary about going to a movie while feeling dizzy, but fortunately if I stare straight ahead, I do alright, and there were only a few dizzying scenes in the movie. 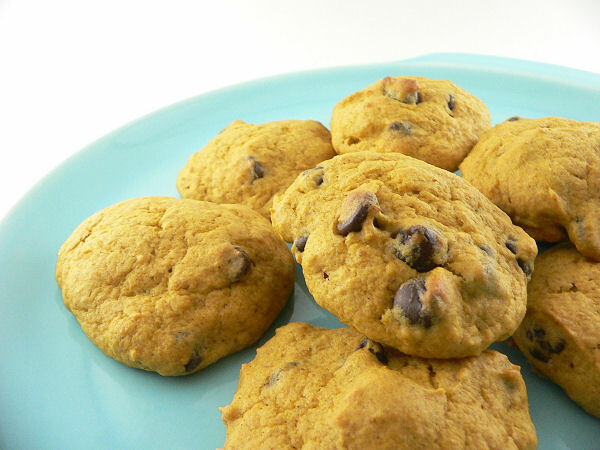 I’m wrapping up the night by baking Pumpkin Spiced Cookies (no icing necessary), after getting all inspired by JCasa *handmade’s post mentioning pumpkin chocolate chip muffins and finding a can of pumpkin hiding in the back of my cupboard. Now, if only I could lose this vertigo. I don’t know where it came from, but it’s been hanging around for a few days now, and I’m tired of feeling at sea. 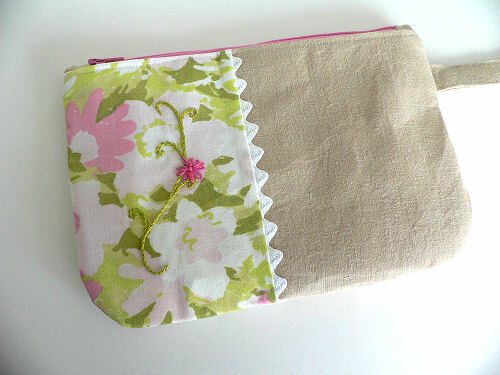 In my ongoing quest to use up scraps, I’ve started making scrappy wristlets. This one is entirely made of scrap cotton and linen left over from other projects, embellished with a bit of bright blue embroidery. This satisfies two objectives: 1) use up scraps, and 2) stock up on environmentally-conscious goodies in time for the Earth Day Festival. Of course, if you can’t wait until Earth Day, you can find this one at the Underground Spring Fling Fine Art Fair next Sunday. The Earth Day Festival was marvelous! Despite the constant threat of rain, there was a steady stream of people the whole day, and the rain politely waited until the very end of the festival before it started. I had a great time meeting new people, seeing some familiar faces, and talking about how Anodyne Design is environmentally friendly. From the Little Hootie Owls, which everyone seemed to love and which are made with felt made from post-consumer recycled plastic bottles, to the wallets and wristlets made from vintage sheets and thrifted clothing, I realized as I was talking a lot of the things I make are really about giving a second life to old items. I also realized that saying, “I made this bag from old pants,” doesn’t sound too pretty, but there you have it. Even though it didn’t sound pretty, the bags are pretty, and the fact that they’re using recycled materials is beautiful. Thank you to everyone who came out. It was great to see you! The Earth Day Festival is coming up this weekend, so I’ve been busy since last weekend preparing. I have been focusing on making environmentally friendly items, and I’m loving how they’re turning out. 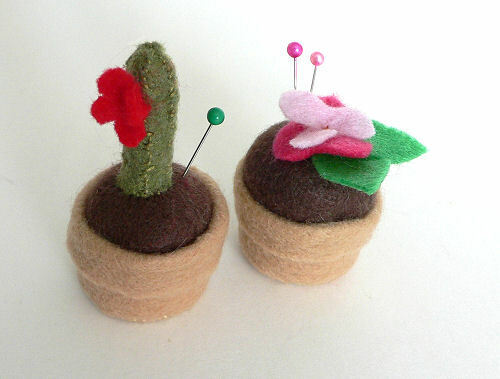 I have been making tiny pincushions out of bottle caps and felt scraps, and it’s like I’m creating a tiny felt garden! I’ve been saving the bottle caps for awhile… I don’t know why it’s taken me so long to start making these little guys. 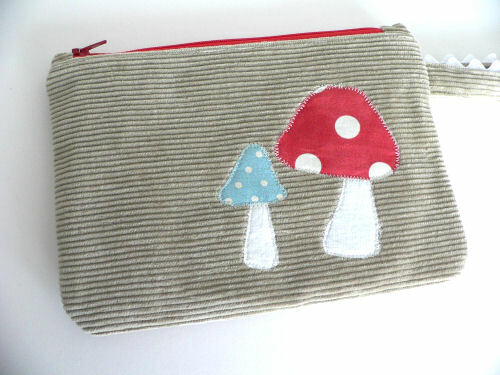 Also in the “I’ve been saving for awhile, why am I just making these now?” category: Wristlets made from recycled fabric. The fabric comes from a variety of places, clothing from thrift stores and from pants and shirts that are perfectly nice but for whatever reason are no longer being worn, thrifted vintage sheets, and from my giant collection of fabric scraps. Every sewing project generates scraps of fabric, and I haven’t the heart to throw out perfectly good, but tiny, pieces of fabric, so I save them for “someday.” Until someday comes, I risk being buried alive by fabric scraps and bottle caps and all the other little things I save to upcycle. Well, someday has come, and I’m glad I’ve been saving my scraps. 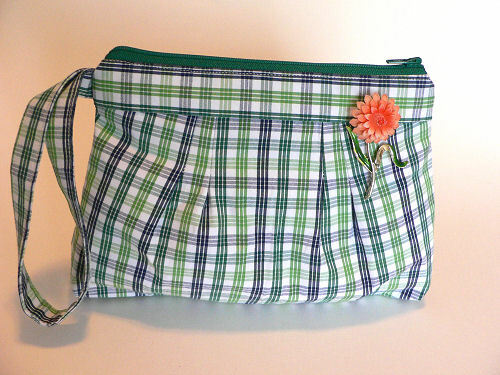 The fabric scraps are particularly useful for adding applique embellishments to bags. It feels so satisfying to give something new life instead of trashing it. I just need to do it more often, so I don’t end up featured on an episode of Hoarders! I’ve got lots more to make before the festival, so I better get back to work. I’d love to hear, though, how you use recycled elements in your art and craft. And what are your plans for celebrating Earth Day? P.S. 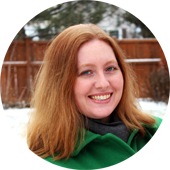 If you like seeing a peek of my projects in progress and what I’ll be debuting at upcoming events, check out my Facebook page. 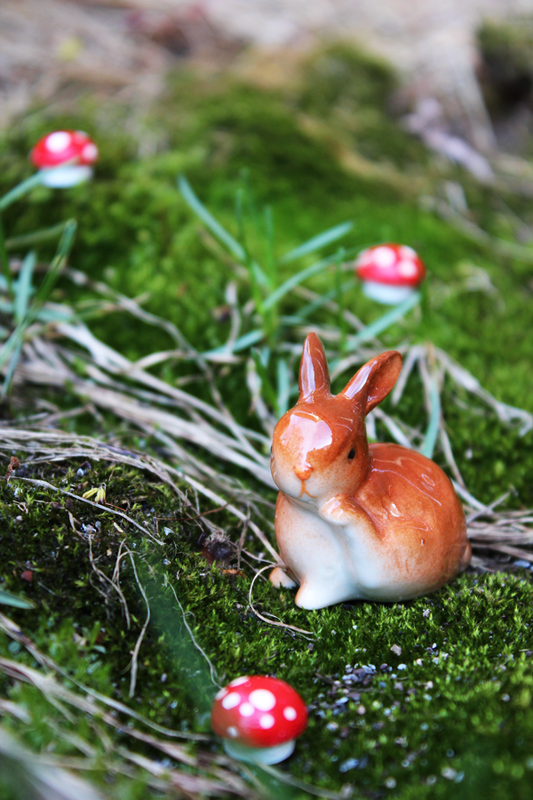 I frequently share mini updates there that don’t always make it to the blog! I like incorporating vintage and repurposed materials into my work when I can. 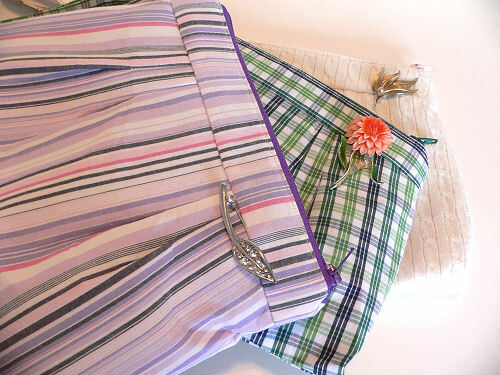 Vintage fabrics from clothing and linens make lovely pillows, wallets, and wristlets. And vintage jewelry makes for lovely embellishments. So of course I have been interested in attending an estate sale to see what I could find. But having never been to one, I was a bit intimidated. What’s this about numbers? How is it different than a garage sale? Fortunately, my friend Amanda of Yellow Dragonfly Designs is an estate sale pro, and she was kind enough to take me to one this morning. 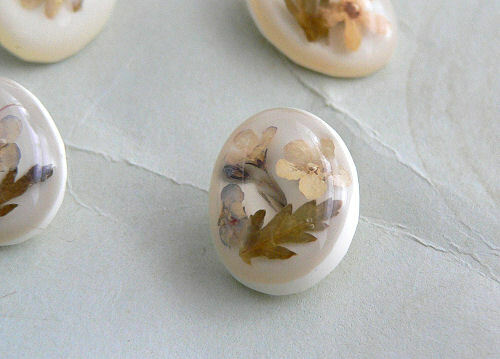 The buttons on the right are labeled “Montana Wild Flowers” and appear to be dried flowers encased in resin. I love them! I also brought home this charming little jewelry set. 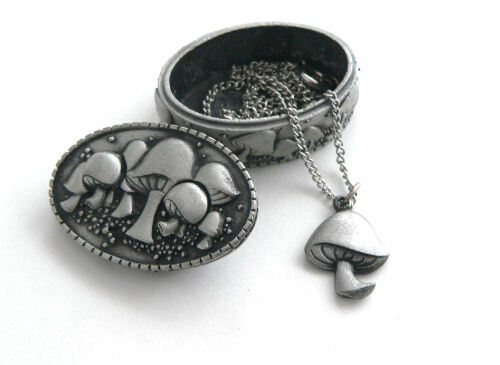 A necklace, earrings, and brooch, which all fit together in a tiny little box. How cute is this? While I enjoyed the “treasure hunt” aspect of the estate sale, I also wondered about the person who had lived in that home and collected those things over the course of a lifetime. And I wondered what it would be like to have strangers hunting through my treasures after I’m gone, and how that would feel for my family. Some of the people I saw at the sale were talking as if they knew the woman who had lived there, and I imagine it would be a rather surreal experience to go to an estate sale of someone I had known and loved. But maybe these are just the thoughts of an estate sale novice. What do you think? Although SciFi Man and I love each other dearly, we aren’t always very big on giving each other the traditional Valentine’s Day cards and flowers. This is for a reasons both environmental and frugal. It can be difficult to find locally grown, pesticide-free, affordably-priced flowers in mid-February. This year our plans were minimal and we actually ended up spending the day with a friend, instead of as a romantic twosome. SciFi Man still managed to be a sweetheart, though. When my friend and I returned from shopping for her wedding dress (of course Valentine’s Day is a fine day to do wedding shopping! 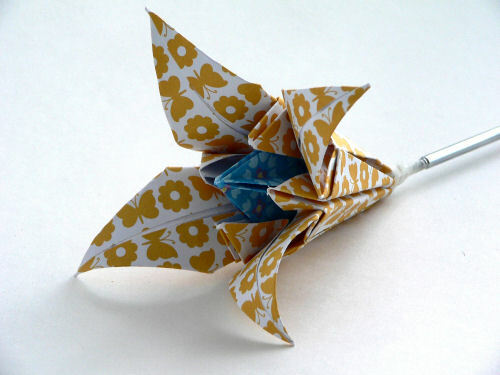 ), I found this sweet, unexpected origami flower waiting for me. It may not be red roses and chocolate, but it’s perfect. Thank you, darling. You can be my Valentine any day. I have always loved sweaters. One of the main reasons I love fall so much is because it means a return to sweater-season! So I’ve got a pretty decent collection of sweaters, and I wear them all the time. It breaks my heart when I have to part with one of them, because it no longer fits or, more likely, because it’s been worn to death. 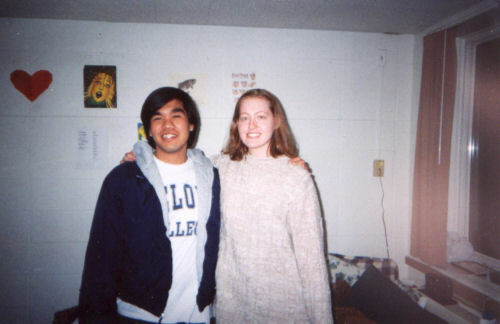 One of my most beloved sweaters was a beautiful cream colored cable-knit sweater that my mother bought for me during my first semester at college. I wore it all the time. Like most beloved sweaters, it started to fall apart after years of constant use, and I eventually had to set it aside. I didn’t know how to repair it properly, but also couldn’t bear to get rid of it, so it lived in a closet for years. Then I had this great idea to turn it into pillows, and it continued to live in the closet, but now with a purpose! Since I have quietly, and only to myself, declared January the month of finishing unfinished projects, I finally got around to turning that unwearable sweater into something special. I cut it (oh, it was so hard!) 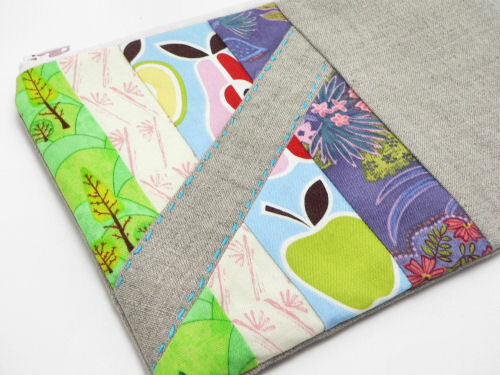 into two panels, and used them to create two envelope-back style pillow covers. I only had one pillow form on hand, so I quickly made up a second pillow form while I was at it. Years of sitting in the closet, and the whole project only took about an hour at most. 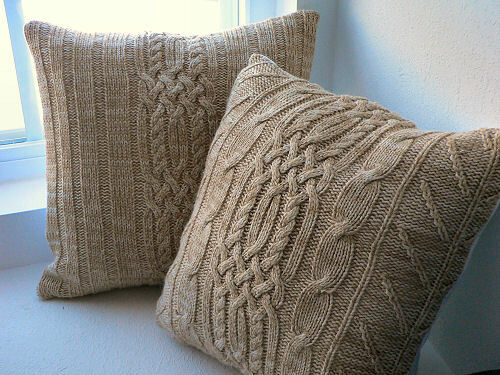 My old sweater, transformed into pillows! Aren’t they lovely? Now I can continue to love my sweater, and I bet these pillows will last a long time. A “charming handbag” from Bend the Rules Sewing that was cut out last spring but never assembled. A quilt for my bed, the blocks for which were cut out but never assembled. The zig zag quilt, which just needs a few more lines of quilting and a binding. Bread bags made from tea towels. Produce bags made from netting. Do you have any unfinished projects you want to finish this year? Feel free to jump on my bandwagon! This weekend I made up a few new bags to take over to Re-, as their supply of Anodyne Design wristlets was running dangerously low (hooray!). It’s been awhile since I’ve made wristlets from recycled fabrics, and I forgot how much I love transforming the unloved into the completely cute. I didn’t have a lot of time, but I did get three bags finished. Another one from the same white sweater I used before, and two from men’s dress shirts and twill pants. 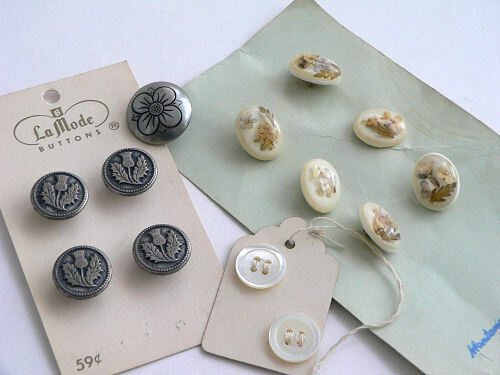 Instead of buttons, I accented each of these bags with old brooches I found at Goodwill. I don’t know if they’re technically “vintage,” but they are pretty and add a nice touch to the bags. And better they pretty up bags than languish behind a jewelry counter. If you like these wristlets, you can find them at Re-, a cool shop full of all sorts of re-cycled, re-used, and re-purposed goodness, in the Peoria Metro Centre. Anodyne Design Eco Wristlets and Card Wallets can now be found at re-, in the Peoria Metro Center. re- specializes in items made from re-cycled, re-purposed, or re-claimed materials. 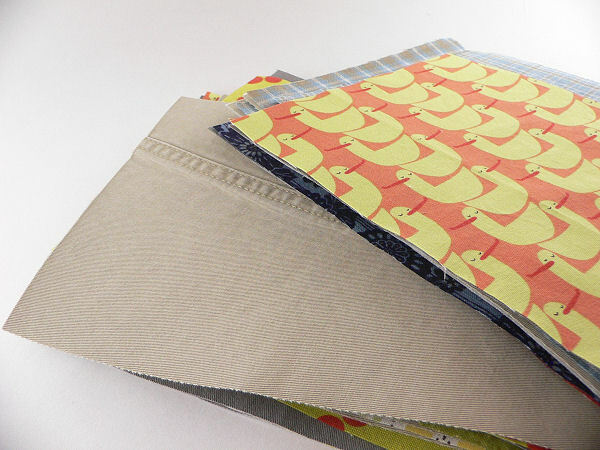 Anodyne Design products appearing there are made from recycled linens and clothing, turning unwanted and unloved fabrics into new, ready-to-love accessories. re- has an amazing variety of sustainable products in stock, ranging from organic children’s items to re-purposed glass bottles, and reclaimed wood from wine barrels turned into platters and a lazy susan (which I oh-so-desperately want!). I picked up a special housewarming gift for my brother when I was there, and I know he’s going to love it. re- also offers a variety of classes geared towards creating something new out of something old, like old sweaters into pretty brooches and old tin cans into jewelry. Definitely stop by and check out this unique shop if you’re in town! 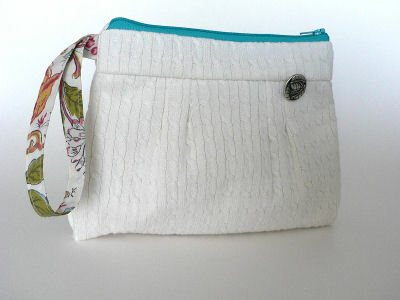 Eco Wristlet made from recycled linens and sweater. 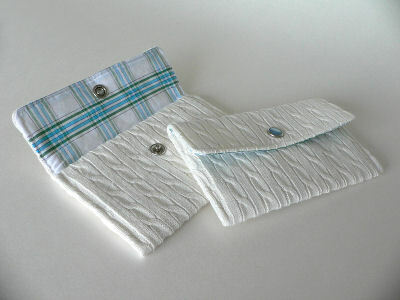 Card Wallets made from recycled material. There’s more, so you’ll have to stop by to check them out! P.S. There’s still time to take advantage of 25% off your total order at my Etsy shop if you get me up to 100 sales (I’m currently at 98). See the details here.